Mustang Seal Solutions specializes in mold & tool designing for the oil and gas industry. 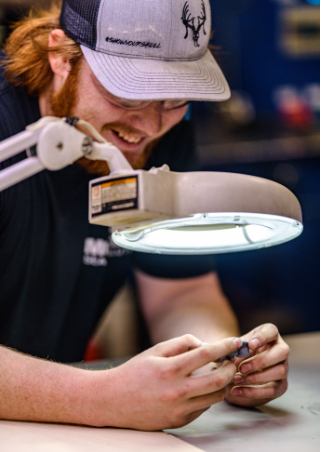 With over 175 years of combined experience in mold and tool design, at Mustang Seal Solutions, we go above and beyond delivering quality products. Our in-house engineering and design teams provide solid modeling of parts, tooling, and dies. Our service is tailored to your individualized needs, and superior customer service is our focus. We individually tailor our process to meet custom requirements for every project and utilize compression and transfer molding methods. The collaborative and high-performance environment at Mustang Seal Solutions ensures customer satisfaction through every stage in the process. What molds do you typically use? We typically work with Production Multi-Cavity, Slide and Multi-Slide, Insert, and Floating Cavity Plate. Please submit a request for quote or reach out to a member of our team at 713-936-5787 or sales@mustangseal.com, we are ready to serve you.